Computerworld Hong Kong readers have selected Laserfiche as the winner of the magazine’s “Software – Enterprise Content Management” Award. The awards program gives readers the opportunity to nominate the products and services they view as the best in the market. 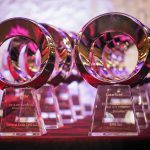 “Since 2002, Computerworld Hong Kong has sought to identify the territory’s leading technology providers by canvassing the expert views of Hong Kong’s leading IT professionals in order to recognize IT excellence and market leadership across the 40-plus award categories,” said Sheila Lam, Editor at Computerworld Hong Kong. Laserfiche clients like ITC Management Limited echo this sentiment. “At ITC, we use Laserfiche to scan and store more than 6000 pages of documents each month. We have also configured the system to automatically generate reports that give our management visibility into the ROI of using Laserfiche document management. It’s a valuable tool that we use every day,” said Berger Law, Senior IT Manager, ITC Management Limited. Laserfiche International (LFI) distributes Laserfiche® software through an international network of value-added resellers (VARs), who tailor solutions to clients’ individual needs. More than 34,000 organizations worldwide use Laserfiche software to streamline document, records and business process management. The Laserfiche ECM system maximizes the value and utility of structured and unstructured information within an organization. 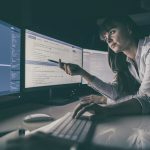 It is designed to give IT departments centralized control over their information infrastructure while still offering business units the flexibility to react quickly to changing conditions. The Laserfiche product suite supports Microsoft® and Oracle® platforms.